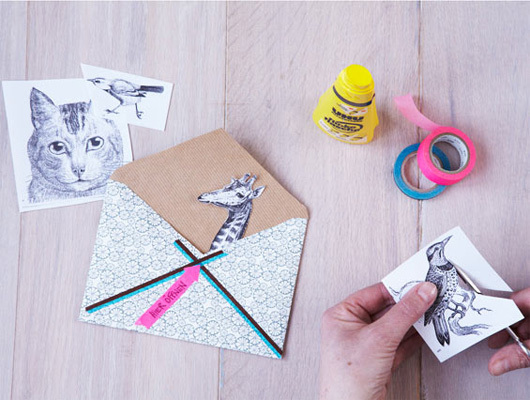 I love this handmade envelope DIY that I found yesterday on the Living At Home website. 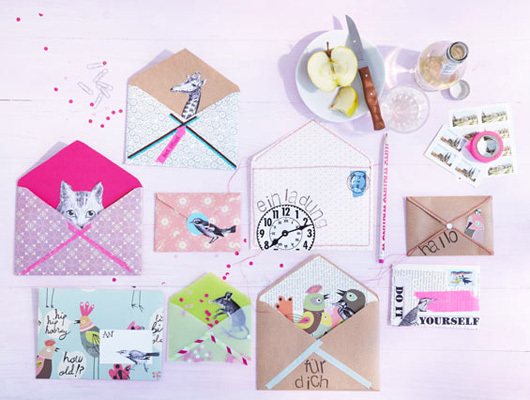 Living At Home is a German interiors magazine and they've been featuring more and more handmade stuff lately in their mag which is so close to my heart, like this handmade envelope DIY that you can see and read about here (but it's in German, sorry). 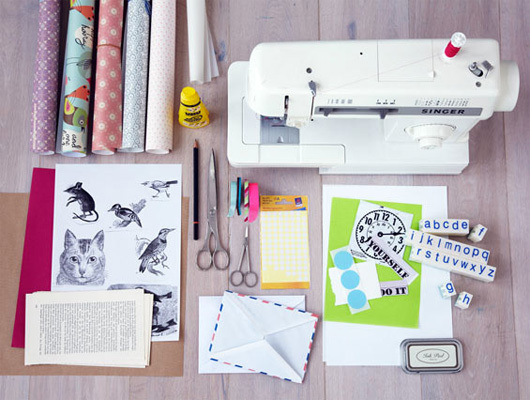 Some of the supplies that you see are from a sweet shop online called Franks Home. 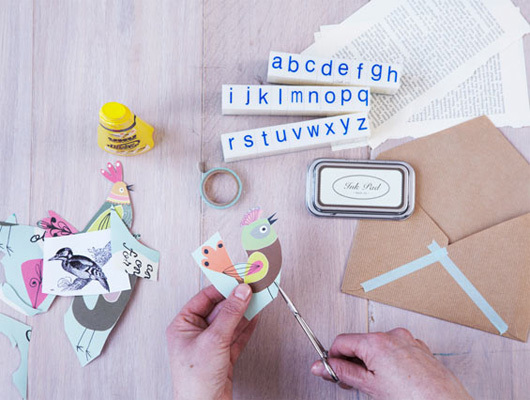 I love taking a creative approach to simple things, like an envelope, though honestly I would never send one of these - I'd most likely just attach them to gifts or maybe frame the more artsy looking ones for a kid's room or in my own work studio which is really a giant playroom for me! Sweet idea though, right? And.... I'll be in the upcoming May issue of Living At Home with my newly released German book, Holly Beckers Wunderbare Wohnideen - so excited to be in their magazine again, they so beautifully promoted my first book so to have their support on my second title means so much to me. It will be on newsstands in a few weeks so if you have access to Living At Home, pick up the May issue and look for your blogger friend (me! ).